People of the Pacific states got money out of this month’s summit of the APEC organisation – Asia-Pacific Economic Cooperation – but might have felt walked-over in the scrum for power. Lee Duffield reports the Pacific is a new discovery of the 21-member inter-governmental free trade forum. The problem is, broadly speaking, the ‘half-communist’ character of China under its President, Xi Jinping, and ‘half-fascism’ of America under Donald Trump — taking over the agenda at the weekend gathering in Port Moresby. The two leaders personify the regimes: can-do characters with little time for the niceties of free media or the rule of law – also handy uncles for small-scale authoritarians in the region saying “show us the money and we can be mates”. The steady build-up of Chinese influence in the South-west Pacific has been candid and open. 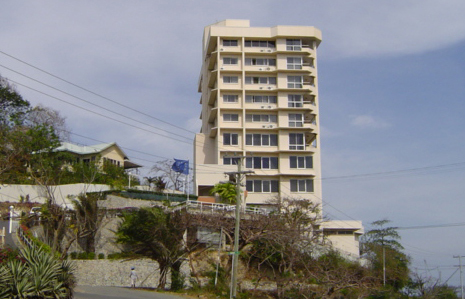 They build showcase infrastructure for free – like a road for the Papua New Guinea Parliament or the Prime Minister’s lodge in Vanuatu. By reputation the local Chinese Ambassadors are friendly, with some influence at home, able to help deliver benefits, whether bulk scholarships for students to study in Beijing or travelling health clinics. Cheap loans can be got, (highly useful, though tempting to run up a heavy bill, especially if using national assets as collateral). “WEST” ASLEEP AT THE WHEEL? All of that off-sets the “Western” position of nodding off at the wheel. 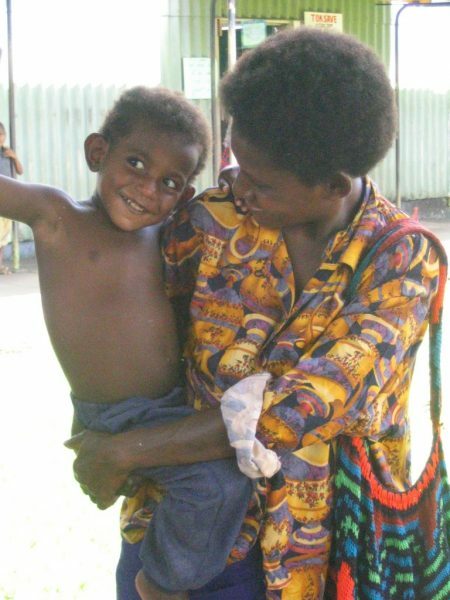 A glance at the level of media attention given to PNG shows the former Australian territory fast being forgotten by Australians. There is nostalgia about the war on the Kokoda Trail, but little fresh knowledge of the country up to this time, convertible into ready political support for major new commitments. 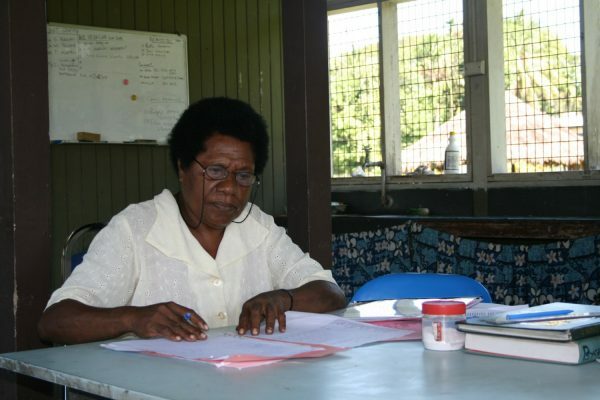 For several in the PNG political leadership the first problem is to get money for themselves, personally, including to help provide direct benefits expected by people in their electorates. Still, they can’t dodge being held responsible for dealing with crisis, like the health crisis with resurgent diseases – polio, malaria, tuberculosis and HIV-AIDS among the most frightening and cruel. Many in the “independence generation” hanging on in politics, and successors they have influenced, remember social slights by Australians, and do not like dependence on the former colonial “masters”. Many if not most Australians in the territory days allowed themselves to be called “masta”, or they outright revelled in it – so there is strong temptation now to spit in the Aussies’ eye. It can be made more discomfiting by that unctuous “Western” idea of making aid conditional on performance, so that, as with regional assistance from the European Union, the donor wants to help with capacity building by the local government, and prove up a high standard of “governance”. Along comes this China with money to invest in development projects, money to lend the government, highly trained and efficient personnel to help out on the ground, and a declared policy of “ask no questions”. Non-intervention in sovereignty of other nations sees Chinese officials baldly staring at corrupt practices or abuse of human rights with no breath of condemnation – the kind of non-nonsense guys that a Pacific Big Man or coup leader can relate to. Australian politicians, especially on the conservative side, resist spending money, and struggle to get backing in areas like the Pacific where public interest is luke-warm. The Chinese in this Century can pull bulk money from state budgets and sovereign wealth funds — the proceeds of renting out the work-force to sell cheap manufactures world-wide, and keeping money back from that workforce. With the Communist Party dug in very deep within China they can put out some nationalist propaganda about how well the colonial expansion is going, and otherwise not worry at all about public opinion. In the region, their nationals lack the “Western” legacy of past bad behaviour, although they are working on that, not being that delicate with their manners, often unpopular as small traders. Australian governments have awoken to the trend over the last decade, joining in a kind of competition for good will. Australia. Main emphasis on maintaining the National Highway, an economically vital, expensive engineering scheme in extremely difficult climate conditions and terrain. Japan. Major engineering work on antennae, to restore collapsed radio networks. European Union. Research and development work against malaria. China. Roads and school buildings. NGOs. Christian missionary societies remain prominent, with cleavage between American evangelicals (marketing quick fixes like help with local transport), and the rest (with longer-term commitments in health or education). As the contest over trade policy, and ocean territory between the Chinese and United States governments affected the APEC meeting, the aid war built up in step. Here the United States may set out to reprise its “awakening giant” role in the region that followed the attack on Pearl Harbour. 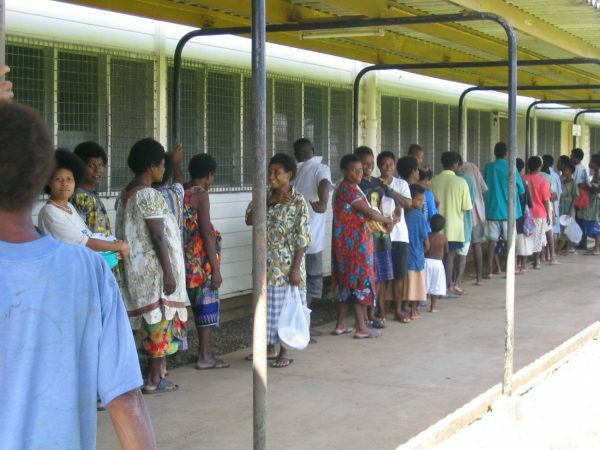 Once content to leave security in the South Pacific to Australia, France and New Zealand, it signed up this week as a party to the joint Australian – PNG naval base planned for Manus Island. 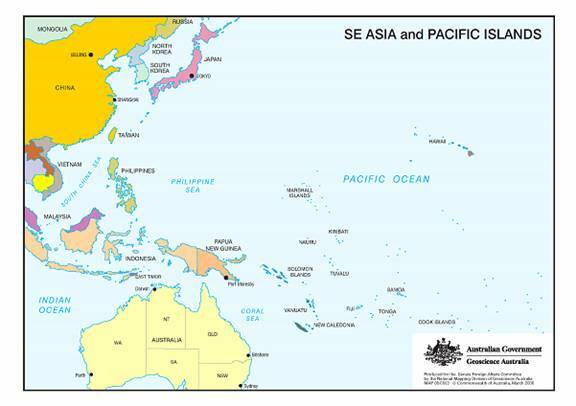 The American government would be interested in that installation strategically facing onto the South China Sea, but in a strictly Pacific scenario, it must also be pleased to encourage a PNG military tie-up with Australia instead of with the Chinese. It showed recognition that the summit was going to be in a South-west Pacific capital, sending at least the Vice President, Mike Pence. His gift, signalling in-earnest increases in aid, was a collaborative electrification and internet project for PNG, with Australia, New Zealand and Japan. It’s aimed at increasing electricity access from 13 to 70% of the population in a little over a decade — if looking ambitious when set against Australia’s modest down-payment – $25-million. His main brief was plainly to thump the table over the new US policy of trade protection, levelled specifically at China, so the traditional communique from the 21 leaders affirming faith in free trade did not appear. It may not have pleased the head man in Beijing who had himself gone to Port Moresby, where they decked the town out exaggeratedly in Chinese flags. Opening the new Chinese highway he drew attention to the “South Pacific” aspect of the proceedings, while no doubt still focused on the main business: the heavy cost to China, and ultimately the whole Asia Pacific of the trade war with Washington. For Papua New Guinea, the recognition obtained from hosting a major event in the international big-time came with some problems. Being friends with a super power, especially an authoritarian state where they demand that things should go their way, had its embarrassments. After a Chinese ban on PNG and international media attending a meeting between President Xi and leaders of developing states, a group of Chinese officials on Saturday barged into the office of the Foreign Minister, Rimbink Pato. They are understood to have been demanding that he talk to them about the ill-fated conference communique – though they later denied it happened that way. 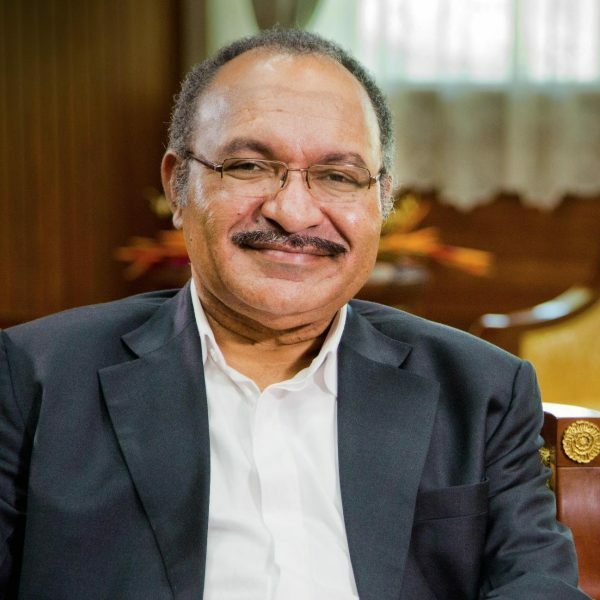 The Prime Minister, Peter O’Neill, was left to declare that even without a statement of agreement, some valuable steps had been agreed to which interested the smaller states – on development issues, food supply and job security. As for the geo-political arm-wrestle between the Americans and Chinese, “the entire world is worried”, he said. His Canadian counterpart Julian Trudeau let the cat put of the bag on China and the United States: there’d been some broad agreement on future directions for the world trade body, the WTO, but some “large groups”, those two powers included, had blocked a settlement. On first readings it looked like a fresh attack from the US side against the free trade doctrines the WTO has operated under since its inception in 1995. The APEC summit had a mandate to try and get agreement on international economic relations affecting the welfare and survival of millions. Instead it produced a bout of head-butting over trade and a bidding war to ingratiate, if not buy the affections of small players, where more rational and collaborative work might have done better, to work out overall what aid might be best. Does such a contest of wills, especially if conducted by narcissistic bullies in positions power, signal a new bout of idiocy and folly in the history of the human species?